I received 3 water bottles from Eco Vessel for review. All opinions are my own. 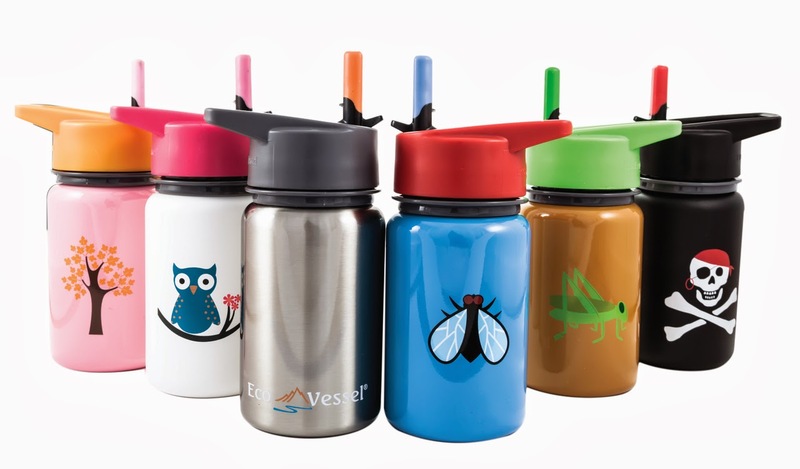 I love Eco Vessel water bottles because they are made of high quality, non-leaching materials and are designed for your safety, ease of use and convenience. Their products are BPA and phthalate free, recyclable and environmentally friendly. This is the perfect transition for youngsters. 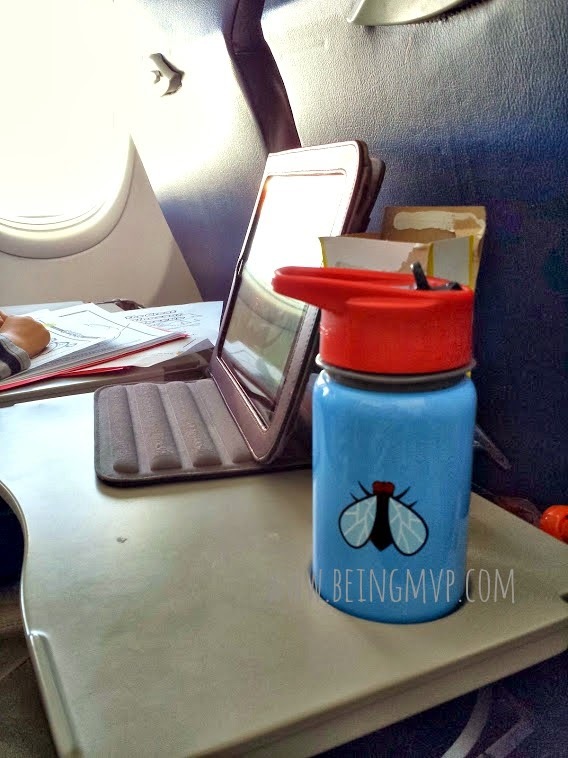 The Scout Kids Stainless Steel Water Bottle ($16.95) is my favorite. It is the perfect size (13 oz) for little ones for water, juice, milk, etc. The thicker stainless steel allows the bottle to be thrashed around with ease. The kids have dropped their bottles many times over and they are still in great condition! The simple design options are clean and quirky. 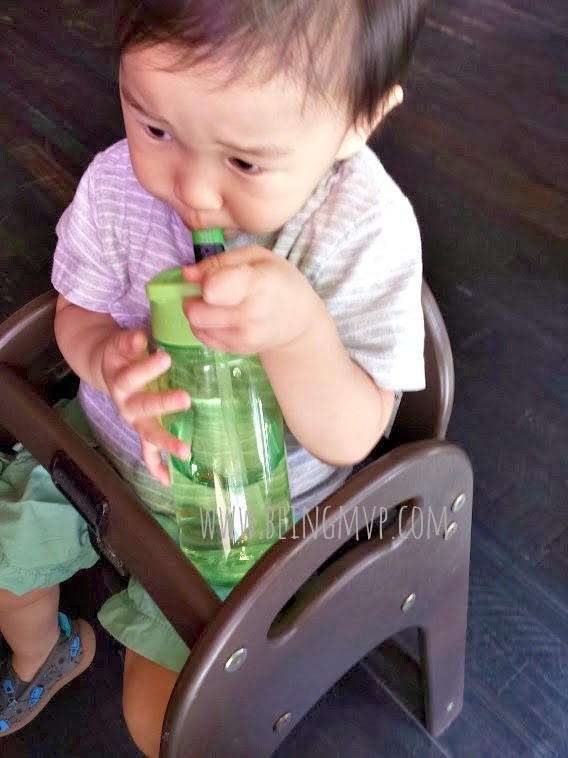 The flip straw is easy to use and the handle on the lid makes it easy for my kiddos to tote the bottles around everywhere they go. These were perfect to slip into the diaper bag and then fill up once we got on the airplane when we went to FL. The liquids stayed cool and refreshing on a cross-country flight. The Splash Tritan Sports Water Bottle ($12.95) is super light and a good size (17 oz) to keep your wee ones hydrated throughout the day. This is perfect for taking along when you are going on an outdoor adventure or even just at home so you can monitor how much your child is actually drinking. The straw flip top is the same as the one on the Scout - made of a soft rubber material that is comfortable for your child's mouth. Mason just won't let go of his Eco Vessel bottles and even snatches Kenzie's away from her when she is taking a sip. I guess he really loves these! 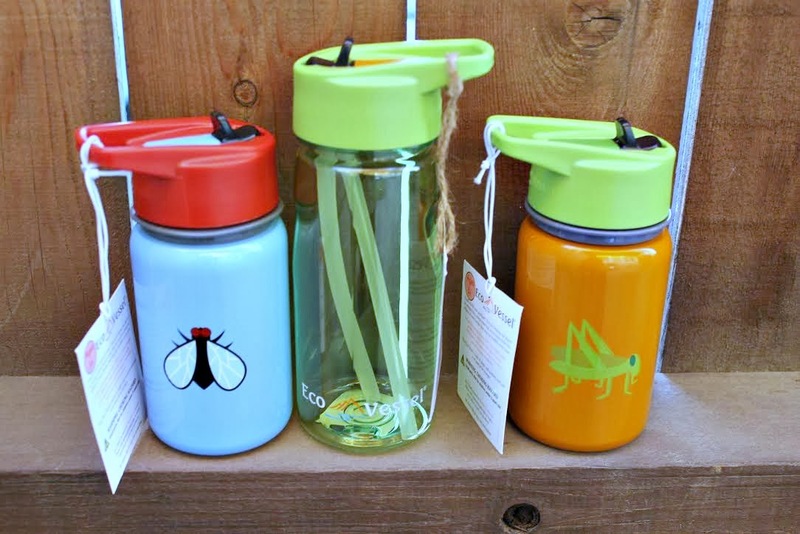 What's neat about the Eco Vessel bottles is that you can order replacement lids and straws so you can keep on using your bottle for a long time. Younger kids like to chew on the soft rubber so this is a great option. Eco Vessel also offers amazing bottles for adults as well as food storage. I want the Vue Double Wall Glass Water Bottle to take to the gym! Make sure to connect with Eco Vessel on Facebook and Twitter! These are very cute and would be great for the pool in the summer! Sounds like a great product. I like the straw flip top feature. I also love that they are recyclable and BPA free. Those look like such great quality! I love that it has a straw which makes it easier for my grandsons to drink from. I really like the The Splash Tritan Sports Water Bottle and that it has The straw flip top, that is made of a soft rubber material. Very nice! These are really nice and I love that they are BPA free. Thank you for your review.